Are you a Rosé Champagne aficionado? If so, you’d have loved Wednesday’s blind tasting event at The Finest Bubble! 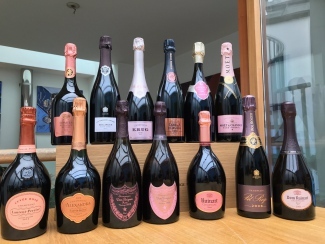 Prompted by Alice Lascelles, of Financial Times’ How To Spend It fame, we took little encouragement to put on a showcase of the best sparkling Rosé’s around. As regulars at TFB events will confirm, if there’s going to be a tasting we believe it should be done properly – that means blind and with a broad range to compare. A good mix of ten different Champagne houses, seven different vintages, some non-vintage classics and even an English sparkling wine. A comprehensive line-up, if we may say so ourselves! 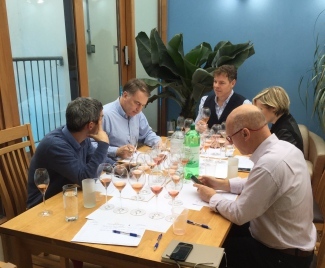 Alongside The Finest Bubble, the experts reviewing the Champagnes were Alice Lascelles, Richard Bampfield MW (bampwine), Simon Stockton (Sugar & Yeast) and Matt Segal (Frederick’s). Once everyone was settled, we let the games begin! First, a mystery apéritif was served with a prize waiting for anyone astute enough to correctly identify the champagne. With fourteen to choose from, we decided to re-serve the apéritif blind later in the main tasting, allowing our experts a chance for comparison throughout. Eventually, we were onto the main event. After deciding to split the fourteen competitors into three flights (of five, five and four), we were presented our first five. Immediately apparent was the colour differentiation… Number’s 1 and 2 had that lively ruby-pink tinge we’ve come to expect from the younger non-vintages, whereas the other three had a more salmon-orange hue typically seen in older vintages. 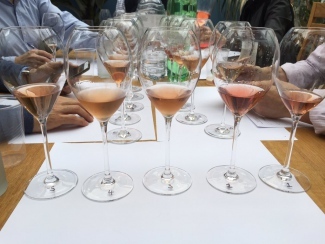 The first five rosé’s causing some debate.. However, not wanting to influence each other’s opinions, we kept our views mostly private, discussing our thoughts on each flight once everyone had had a chance to taste them all. 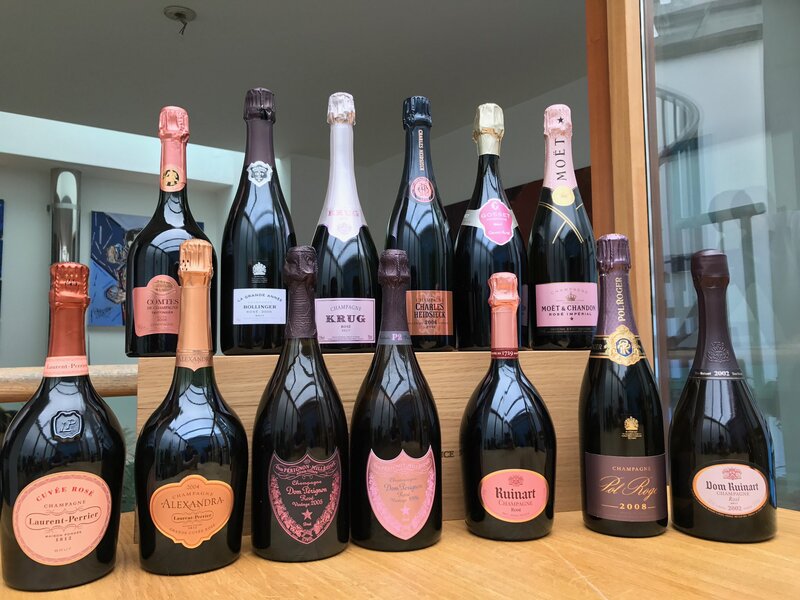 It was difficult to confidently make any predictions as to their identity with nine champagne’s still to be tasted, but we were scoring the champagne’s as we went using TFB’s online scoring system. After lengthy discussion, mostly regarding the interesting colour differentiation and the confusion Number 3 was causing with it’s odd oaky, oniony aromas, we moved onto the second flight of five…. Again, there was an immediately obvious colour difference between these five, with Number 9 displaying that bright ruby hue seen in Number’s 1 and 2. Number 6 was the talk of this round; the dusty, okay aromas leading some at the table to believe they’d identified a style typical of a well-known Champagne house and Alice revealing the aroma inspires an image of “a naked girl in bed with a smoking gun”. Whilst we weren’t providing that level ofentertainment, the tasting was already fascinating – an odd, high acidity and rhubarb palate from Number 7 throwing some off, whilst Number 9 was generally considered quite brash and undeveloped. Finally, we were presented the last four in the line-up. After a quick sniff and sip, there was an immediate general consensus that this round contained some real stunners. convinced Number 14 had a real sweetness typical of only one Champagne house and was quick to cast his vote. Here we were with that ruby-pink glow again from Number 13, convincing Matt it was Laurent-Perrier Rosé NV – a popular hit at Frederick’s. With all fourteen now out, we were afforded our first opportunity to compare them all against each other. 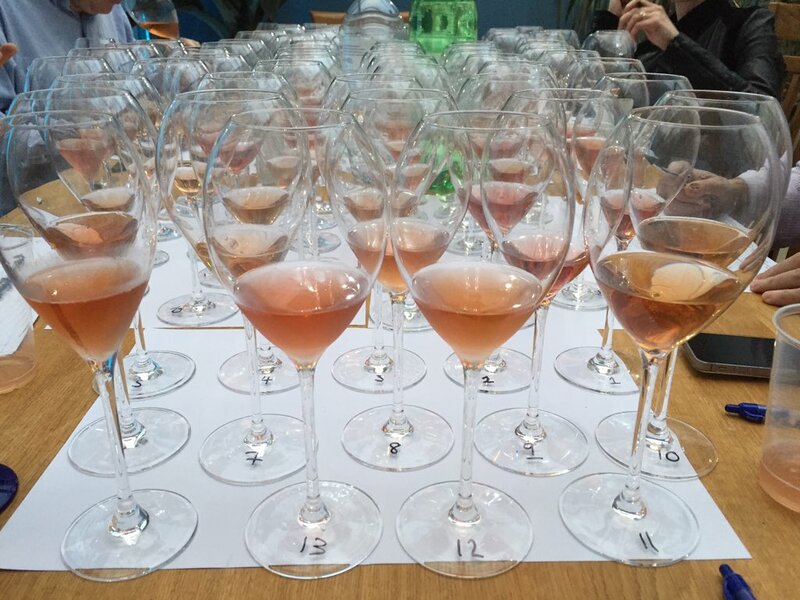 After a few top-up requests for certain number’s (invariably the favourites, but it was purely for research purposes we assure you), it was time to finalise our predictions, rate all fourteen rosé’s, cast our guesses for the apéritif competition and see if anyone could spot the English sparkling! Time to make our predictions…. Once happy with our fourteen predictions, it was over to the IT Department to take the stage and reveal the all-important data. Collected live throughout the tasting, the data showed the average rating of each champagne (out of 20, allowing for half points), which chief wino had correctly identified the most and which champagnes were most frequently recognised. Firstly, bravo Dom Pérignon Rosé 2005! A worthy winner and one that was identified early by the panel, with three of five correctly recognising it. Dom Pérignon’s distinctive smoky nose and flavour were the architects of its exposure. Sometimes, the new vintages do it best! Very excited to see how this develops in the future. A noteworthy performer was Wiston’s English sparkling. Many commented on its unusual character with high acidity and seemingly overripe fruit, but scoring joint 6th considering its competitors is a significant achievement. Even more so considering the price – at just £38.45 a bottle from TFB, it’s some £200 cheaper than some of the champagnes it beat. Interestingly, four of our panel also correctly identified it during the tasting – the knowledge of its English heritage clearly not negatively impacting our panel’s rating. A true humdinger from Wiston! Also worth mentioning are Charles Heidsieck’s and Bollinger’s most recent vintage Rosé releases, placing 2nd and joint 3rd, respectively. Comparatively affordable (considering their prestige company), these two really stand out as high-performers. 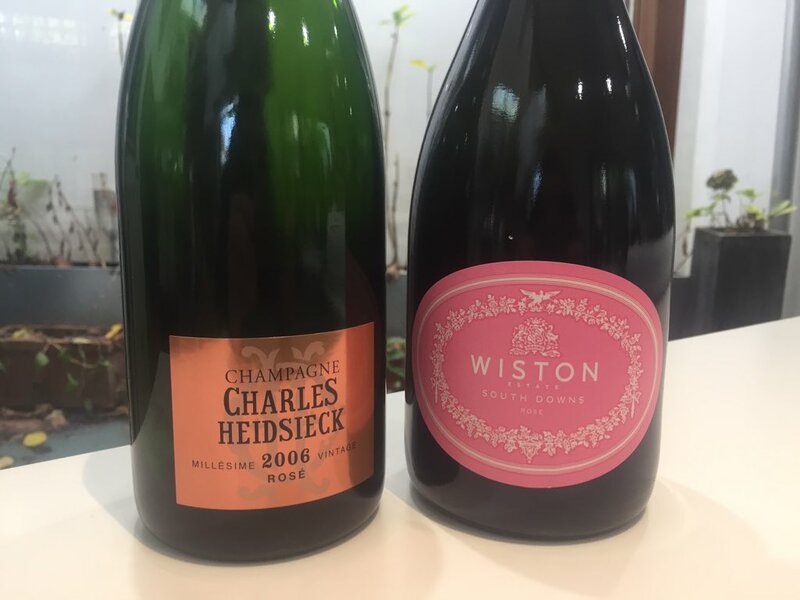 Rated 19/20 by The Finest Bubble, the Charles Heidsieck just blew us away with its richness of fruit and cake-like character, and three of the panel correctly picked it out. Notably, no-one identified the Bollinger, but it’s dusty, smoky character was a real hit and it fully deserves it’s place on the podium. 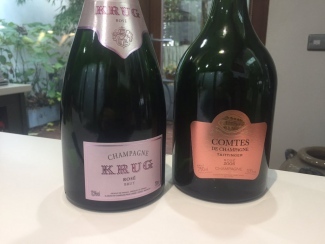 Of the non-vintages, Krug came up trumps. A surprise for TFB, it’s not one that we taste frequently, but it really stood up against the rest. 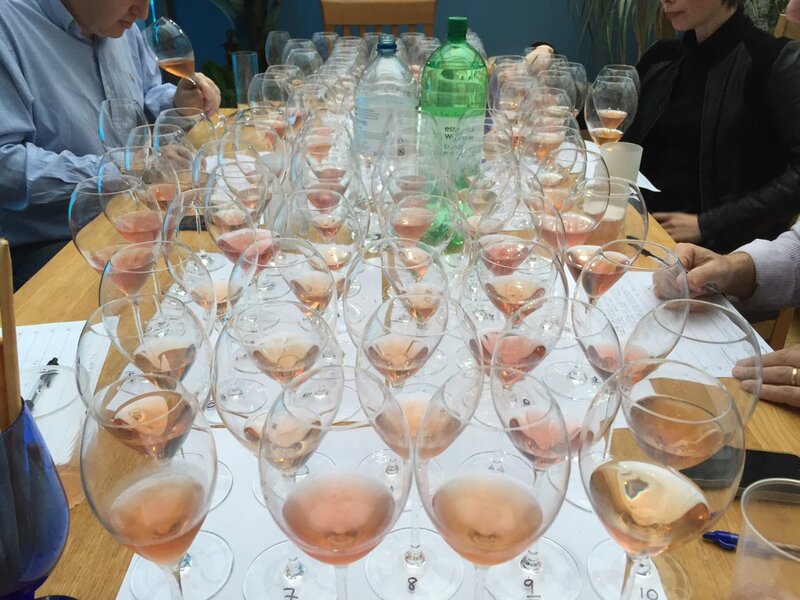 Unsurprisingly, only one of the panel correctly picked it out, which goes to show how underrated Krug Rosé is. 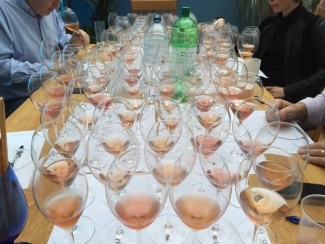 The non-vintages in general were identified by that bright ruby-pink hue that was commented on throughout. Whilst all NV’s placed in the lower half of the final table – probably a fair reflection given the list – they were very drinkable and proved their potential to compete. The only real disappointment was Moët, tasting a bit harsh and unexpressive which is strange considering it’s usual drinkability, perhaps there was an issue with the bottle on the day. Finally… the apéritif competition. Unfortunately, there were no prizes given as everyone was wrong! 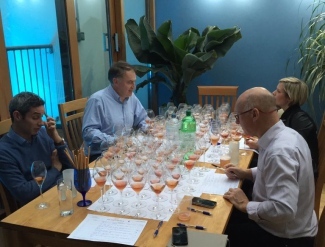 Although four of the panel correctly identified Gosset Grand Rosé Brut NV during the tasting, not one of them realised it was the same champagne served on arrival. 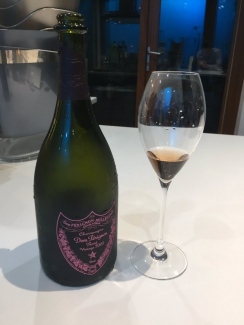 I guess we’ll just have to drink that magnum of Dom Pérignon Rosé 2005 ourselves then….. 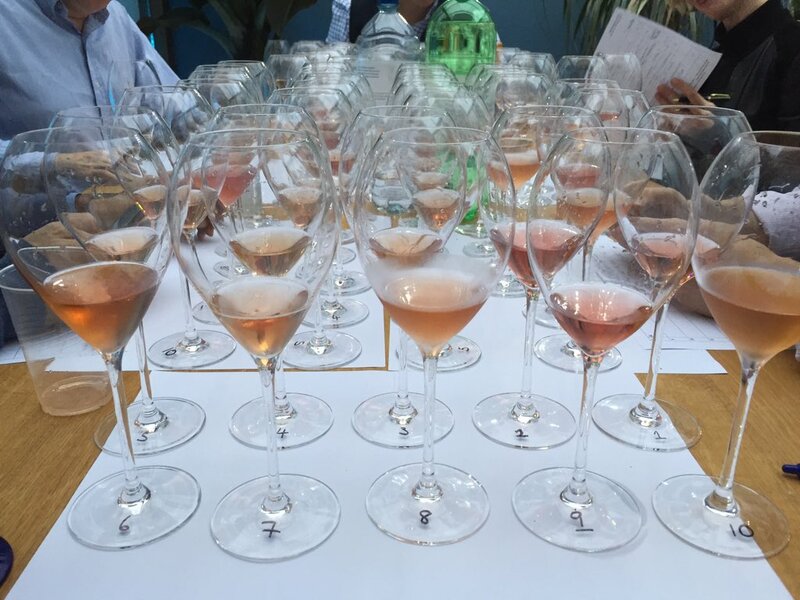 Overall, a fantastic tasting and a great opportunity to compare Rosé Champagne’s properly – blind and with a broad range. Now what on earth are we going to do next, Alice? Look out for Alice’s article in FT’s How To Spend It soon. The following tasting notes are The Finest Bubble’s, but scores shown are the group averages.